Compact and easy-to-install RFID system! A new 8bit system is coming soon! 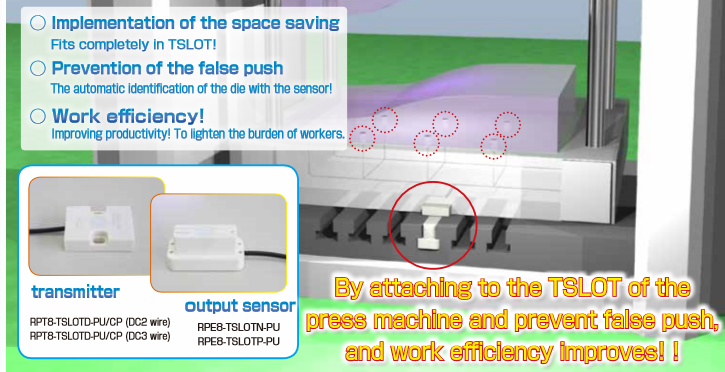 The wireless feeding and signal transmission for 8 signals of detection switches are now available with T-slot shape! Perfect for controlling temperature like an agitator! Ring shape thermocouple signal transmission!! New Arrival of remote feeding, ring shape that has centre hall structure! Ring shaped wireless power supply that is most suitable for rotary facility. Maximum 8 points! 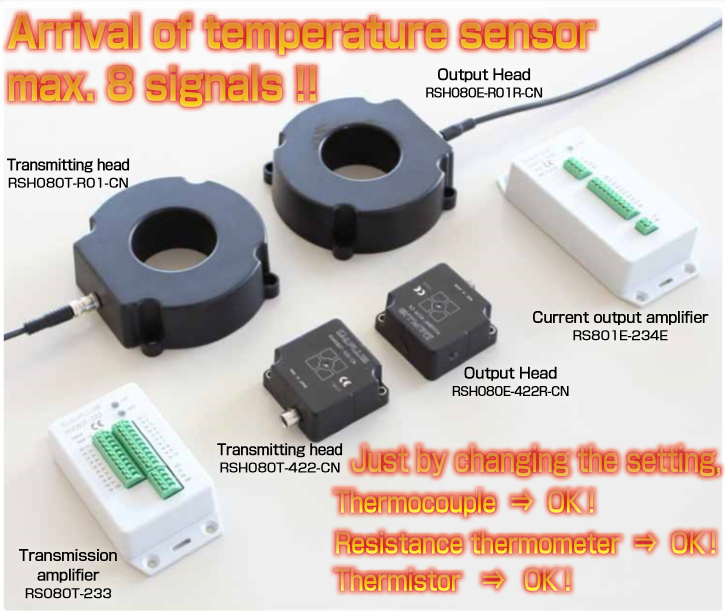 Wireless power supply and temperature signal transmission to a temperature sensor is now possible! Smart! Certain! Cheap! 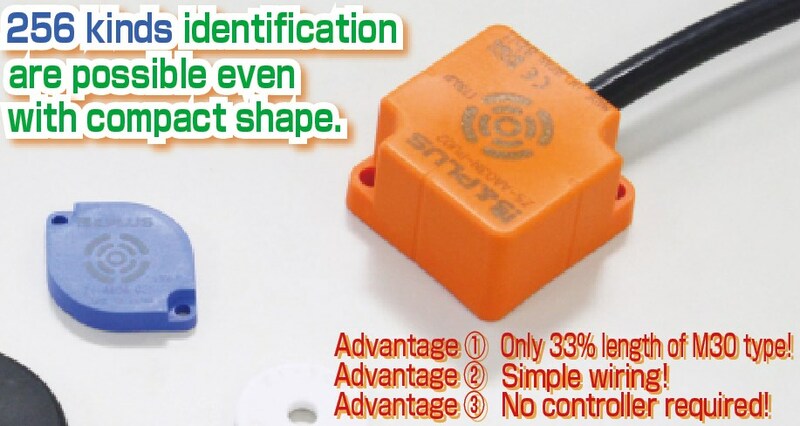 Ultimate Jig for identification. New Arrival of 5 bit system! Correspond to IO-Link Signal! 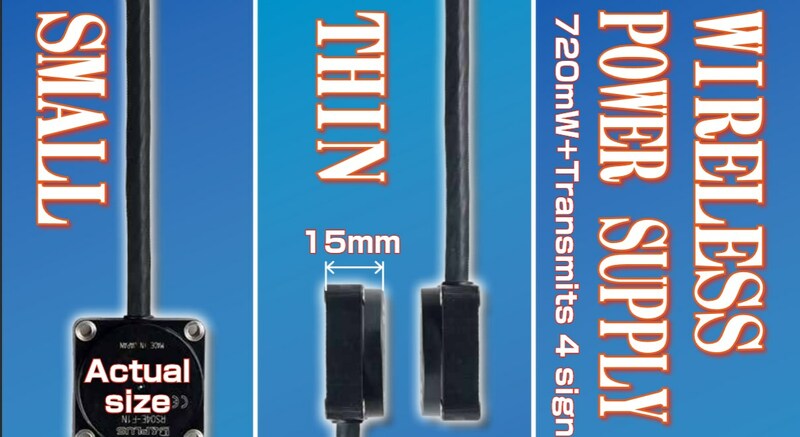 Wireless power supply makes it possible to implement higher and flexible network! 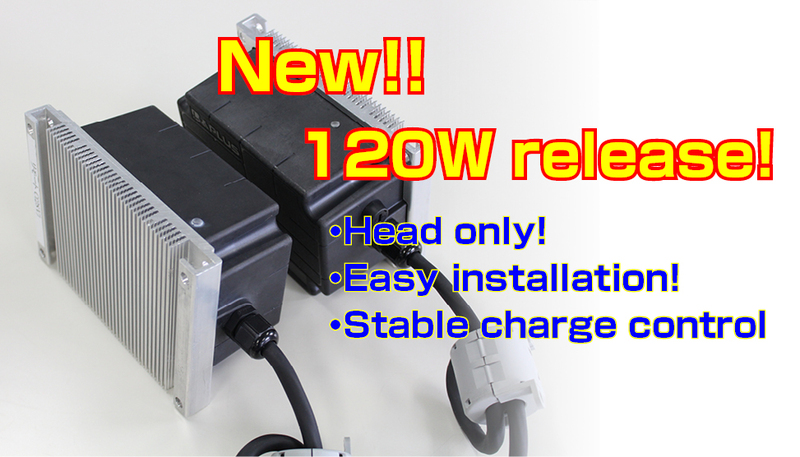 120W without amplifier! A new wireless feeding and chargeing system! The best solution for robot hands and tool changers!